When the old mining town was founded, nobody did think of this ever growing into much more than a coal-mining town. The deposits of iron-ore, aside from the already developed peat bog to the north, driving the tools & weapons industries this city is now thriving from, have originally been estimated to be much smaller in size - and deemed not worthy of exploitation.. Introductory course to the History & Sociology of the tri-region area, Ringstadt Militaric University. 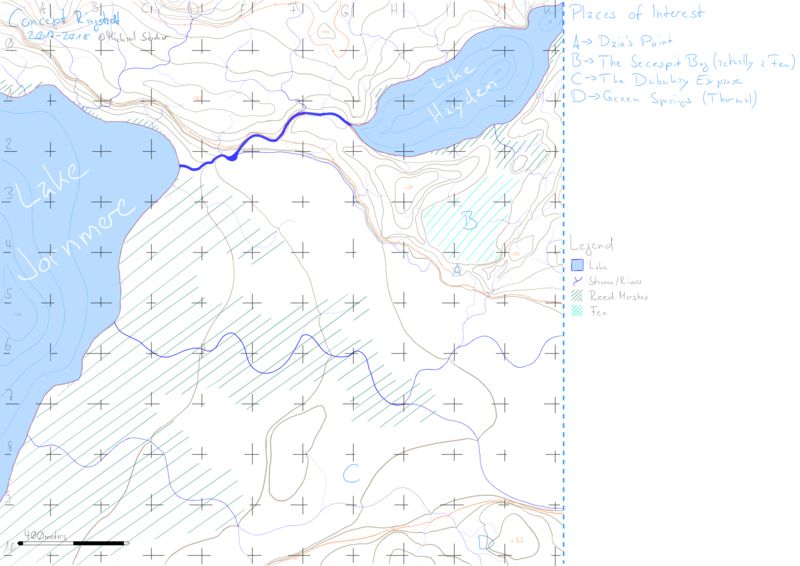 This question is a spin-off to this question about the topography in the below map. Please refer to it for general questions or observations about the map & area. This spin-off is about understanding & determining the make up of the mountains to the north of the map. For future story-purposes the mountains/rock will have to fulfill certain properties, this is about finding out if my goals for them are possible or if I need to rethink this part. For the purpose of developing an eventual city in this area, I was planning to have initial mines along the ridge from D2 to F3 (later expanding towards H4) producing coal from strata mostly parallel to adjacent ground-level. Eventually I wanted expansion and further prospecting to reveal massive depots of iron and preferably some other ores/minerals as well (maybe copper?) in the deeper strata below the coal. Coal being carbonized organics, I imagined that the coal layer(s) could have been folded on top of the ore deposits by glacial movement or similar. In order to get access to lower strata and deposits I imagined some eventual open-pit mining in the F2 area, the resulting waste-rock being used as building materials (if I can have sandstone, granite or other building rock there) and to raise embankments in the C2 to C5 area, creating a protected harbour. For story & fanciness purposes I would love to have big tunnels leading into the mountains, and massive underground caverns that are left-overs from the mining process (so I can fill them with secret military installations, or simply storage, or what not). Each grid-cell is 400m by 400m. Q: Can the above described desired properties be realistically met by the rock and soil in this area Can my mountains be what I need them to? Can I have the resources I in the described area? Can I have the upper layer of coal-seams? Can I have the massive iron deposits? Can I have the supplemental Copper (or other useful ore) deposit(s)? If this cannot work, why - what stands in the way of it? In addition it would be amazing if answers that explain why this cannot happen, to include a section proposing alternative situations of resources that come close/to a similar result as what I am describing in the above prose. Please ignore the resources available in the peat-bog; I know there will be bog-iron and it will play a significant part in the earlier development of the region. Same goes for the clay and gravel available through the reed-marshes and river-deposits. Limiting the mines to the area from D2->F3 is like a coal seam that is only 1-2 km long. That is short. Here is a GIS mapping of coal mining areas in Kentucky. The seams are hundreds of miles long. Scranton was/is a big coal mining town in Eastern Pennsylvania. Scranton grew to over 100,000 at the peak of the coal mining boom. Combined with nearby Wilkes-Barre and other cities in the area, it formed a conurbanation of some 300,000 in the 1920s. These cities serviced coal towns from Forest City, PA to Bloomsburg, PA, some 110 km downriver. The two-county area (Lackawanna and Luzerne) had some 700,000 people, so it was one of the most densely populated parts of the US at that time. Lots of people in a region = large city to support those people. If you want a large mining town, it should probably be pulling from a large mining region. Some mines will be close by, but many more with be within a day or two's transport by horse or foot; or later, a few hours by train. A 'city' with only small nearby mines would be just a small encampment of a few hundred. I can't find any good examples of mines being just on top of each other like that. But I was able to find a variety of examples of such mines being in very close proximity. The rich bituminous coals are generally of an age 100-300 million years ago. 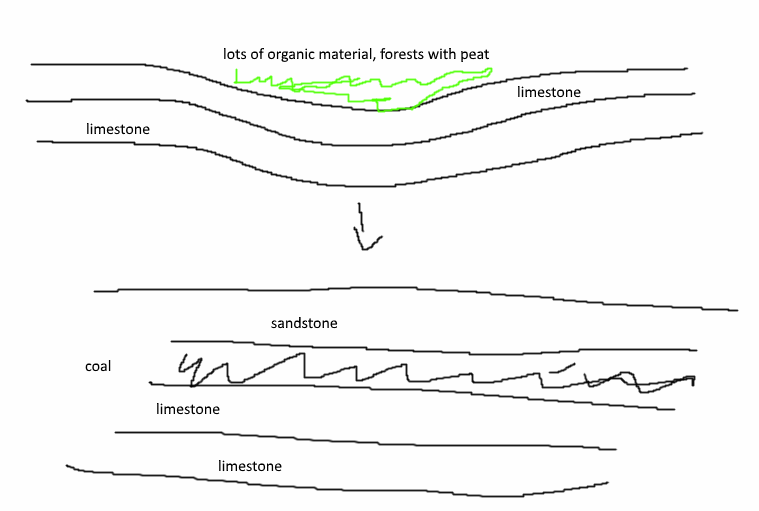 Almost all high quality Iron ores are derive in one way or another from banded iron formations. These formations are much, much older, in the 2 billion year range. They derive from the Great Oxygenation event, when the first atmospheric oxygen reacted with free iron to lay down great beds of iron oxide. The gap in time between the two levels is what makes the idea of coal on top of iron so unlikely. If you had several hundred meters of coal-bearing strata, even if you just dumped that on top of a banded iron formation, that is still very deep for a early-modern mine. Mines in Europe were hitting 300 meters by 1700 and 600 meters by 1830; still these were exceptional. And this considering a ~300 mya formation directly on top of a ~2000 mya formation, with no intervening material, which I consider unlikely. A second reason that this would not work is that you have large lakes nearby, so mine shaft drainage is going to be tough. Your mining hills only go up about 100 meters above lake level. Much deeper than lake level, and you will likely get very serious water intrusion. Mining below lake level at all will likely have to wait for the steam engine to pump water. A large mining area means many resources can be found together. Jharkhand, in India, is a place with lots of mining resources in close proximity. It is the leading iron and copper mining state of India, and third in coal. Meanwhile, much of India's coal reserves are just across the border in West Bengal and Odisha states. You can see a big iron ore mining region near Gua, Jharkand, India on the map here (look for the open pit mines in the satellite view). Meanwhile, here is some significant coal mining in nearby Talcher, Odisha, India. Still these two mines are 140 km apart. But there are copper mines near Jamshedupur 110 km away from the coal mines, and also uranium, gold, bauxite and other things in the region. Your best bet is to have your mining town be the center of a larger mining region. Within the larger mining region, there are many regional centers of coal, iron, copper and more. Ringstadt is the central business city of the region, and the center for trans-shipment; after all it is a port town on the lake and what better way to move ore than by barge. Also, it can eventually be the industrial center for the iron and steel industry. A good example is Cleveland, OH. This lake town isn't actually close to coal (which is in Pennsylvania and West Virginia, mostly) or iron, which is available in Minnesota and Michigan's Upper Peninsula. But it is the place between the two on the lake. Rail brought coal from the Pittsburgh area, and barges brought ore from Lake Superior; these met in Cleveland which became a big metals center. Gary, Indiana has as similar history. Start with a sedimentary basin, tropical environment where you have lots of organic material which will eventually form coal. This is then overlain by other sediments (sand for example). Now you have tectonic plate collison. An oceanic crust subducts under your sedimentary rocks. Volcanic eruptions start in the volcanic arc above it. This is where it gets really fun. You now have a porphyry copper system, intruding into sedimentary rocks, which happen to have coal preexisting in them. 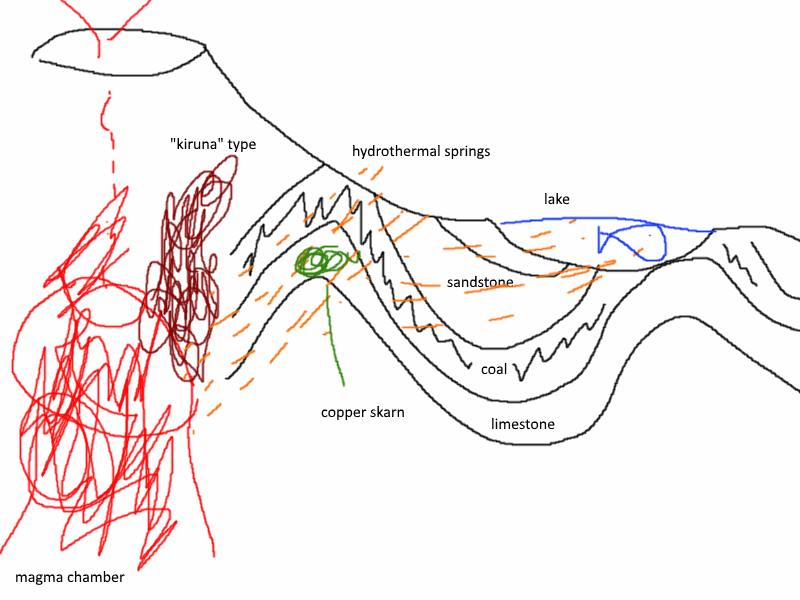 So you have this volcano because of the subduction zone, and as it erupts it exsolves acidic hydrothermal fluids that carry dissolved copper into the limestone. The fluids are neutralised by the limestone, causing the formation of a copper skarn. The magma itself also separates an immiscible iron oxide liquid. These are rare and are usually not as large as the BIFs mentioned in kingledion's answer, but they're big enough (for example Kiruna, Sweden or El Laco, Chile). The rest of the fluids end up in hydrothermal springs and your lake making those sulfurous waters you wanted in your other question. At first I thought this was a bit too much hand-wavy and unlikely to exist, but then I realised that a not-too-different example occurs close to home in Eastern Australia. There are many sedimentary basins with coal in them, and these Permian in age. Later on, Triassic magmatic activity occurred around the same places, caused by subduction of the Pacific plate underneath Eastern Australia. So yea, feasible. Well, first, we go into biology. Our world wasn't always this hospitable. In fact, the air we breathe was nonexistent: composed of other chemicals. But a pioneering group of plants came: the algae. They lived on iron, producing oxygen from the air around them. The eroding mountains provided the iron. The iron then precipitated after the algae died, ironically because of all the oxygen they produced. Other areas of iron eroded. But our ores remained intact, sedimented down by the shallow sea we were a part of. Next, near this sea, near this area of iron, a rift opened. The great rift, we call it, just to the west of us. This rift gave us potash for agriculture, sulfur for gunpowder, salt for food and money, bentonite for pottery, and gypsum for construction. A true windfall geologically, not even mentioning the copper, gold, and zinc deposited in the porphyric deposits. Finally, the sea dried somewhat, and we were left with lush green forests. These days were warmer than today, allowing for a rainforest in this region. But then, the algae struck again. These plants, flourishing in the shallow lakes, combined with the forests on our land, caused a short, intense ice age, followed by a rapid heat-up after the ice age. The ferns and palms of our forests were too slow to adapt. And so they formed the coal seams now under your feet. Real life example: Most of the coal seams in America. For copper your best bet in this setting is the hydrothermal ore Malachite, this is formed when copper rich water cools, depressurises, or is oxidised. You can have veins of it running through other rocks where water has historically moved along natural faults in the rocks. Most massive iron formations are banded iron, old ore bodies laid down in the ancient oceans during the oxidation of the atmosphere, these old formations could occur below/around a granitic intrusion being much older than any other rocks in the area. These deposits are relatively easy to work too as they're composed of the Iron oxide minerals hematite and magnetite which can be directly reduced in a furnace without any of the preprocessing needed when using hydroxide and sulfurous ores. Given the glaciated nature of the northern area I would expect most of the softer, and therefore mobile, strata like coal to have been scraped off the landscape and deposited on the plains as a sedimentary layer of broken coal mixed with gravel and some finer sediments. There is a layer of coal like this that, according to a petro-geologist who used to lecture some of my Earth Science classes, comes up in core samples in the Taranaki Basin, it's composed of coal fragments eroded from onshore deposits during the last ice age and deposited on the continental shelf. The southern hills could have very thick coal measures per our discussion on their overall geology the other week; deeply buried granite, conglomerate aquifer, shale, limestone, coal, fireclay cap with topsoil over the lot. most types of banded iron deposits appear in sedimentary rock. so Copper and iron being nearby would be unlikely for this reason, the same could be said for the Coal layer, as coal is again more often found in sedimentary rock formations. However it is common to find sedimentary rock over igneous rock and the thickness or depth of the layer is entirely up to you as the writer. copper and tin would be found beneath the coal and iron levels. while i think its unlikely that a large deposit of coal would sit directly over a large deposit of iron, its possible that the large deposits actually sit close or nearby with some overlap. The Kiruna mine in lapland has an ore body which is 4 kilometres long, 80 metres to 120 metres thick and reaching a depth of up to 2 kilometres. Since mining began at the site in 1898, the mine has produced over 950 million tonnes of ore. The entire mining site itself though including the mountains of waste material, access roads and equipment etc, is over 4km by 2km. For such a large amount of resources to be together, my only explanation is a post apocalyptic scenario, with the former cars and buildings long ago eroded. If a city such as Tokyo is allowed to be assaulted by Nature by ten thousand years, all the steel and alloys will transform to massive IRON & Nickel/Aluminum/etc. The main issue is how to justify coal. Not the answer you're looking for? 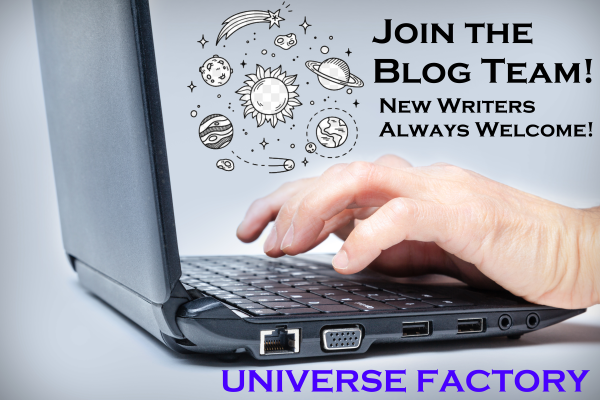 Browse other questions tagged reality-check geography geology or ask your own question. Could you cool the earth's mantle and then bore into it? Colonizing a fresh Earth : where to place the first settlements? One North African Civilization Or More? Where would be the most suitable place to build a capital for Earth-clone planet for modern society?